Gangotri offers scenic vistas of gushing water, rugged terrain and snow clad Himalayas. Gangotri holds a very important place in the Hindu Mythology. It is believed that Lord Shiva received Ganga in his matted locks when the river descended from Heaven to earth. There is a natural rock shivling submerged under water and can be seen easily in winters when the water levels decrease. The Gangoti temple is closed on the day of Diwali for the winters because the region receives heavy snowfalls and becomes inaccessible. The temple is opened in May. 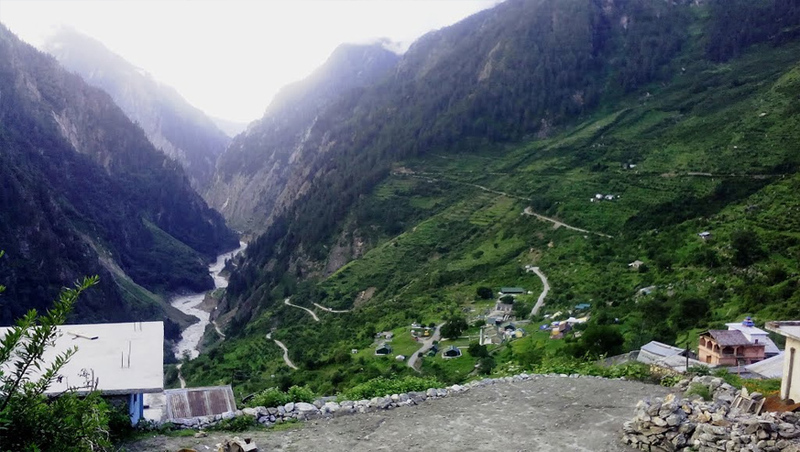 Day 02: Uttarkashi Gangotri Bhojbasa (100Kms drive/ 4hrs + 14kms Trek 6-7 hrs) Height: 3775 MTS. Early morning take (packed breakfast) and drive towards Gangotri via beautiful Harsil Valley. Harsil is famous for its nature beauty and for the majestic views of the Deodar trees and mountains. On arrival at Shree Gangotri, take a holy dip in the sacred river Ganges which is also called Bhagirathi at its origin. Perform Pooja and Darshan, after that relax for some time in the lovely surroundings. Around 11:00 ‘O’ Clock trek towards Bhojbasa via Chirbasa the entire trek today is along the roaring Bhagirathi River. Beyond Chirbasa the terrain becomes really desolate and barren. In fact, it has been referred to as Artic Tundra by many trekkers. From Chirbasa we trek further to Bhojwassa, the entire trail passes through dense forest, Arrive Bhojwassa; there is a small temple and a potential campsite near down the river. We make our camp near river side. Afternoon free to explore the area and to enjoy excellent sunset on Bhagirathi group of peaks. Stay overnight at Bhojbasa. 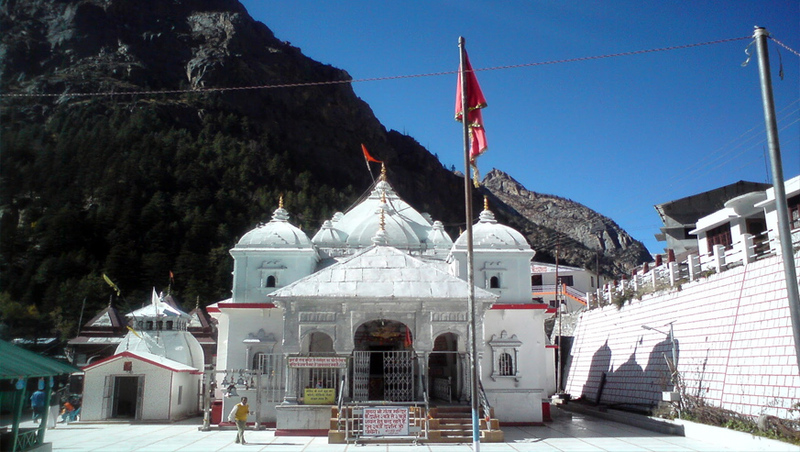 Gangotri Temple : The 18th century’s temple dedicated to Goddess Ganga is an exquisite 20ft. High structure made of white granite. The sacred stone The Bhagirath “Shilla” is located near the temple of Ganga where the holy Ganga first descended on earth from heaven. The Gangotri Temple visited by roughly 300 thousand adorers annually. If opens on the auspicious day of “Akshay-Trtiya”, generally in the month of April or May by November, Gangotri town is covered with snow. The temple is closed on the Diwali festival every year and it is reopened at month of April or May. During this time , the idol of The Goddess is kept at Mukhba Village, near Harsil her winter adobe “12kms downstream, home to the main Pandas(Priest ) of Gangotri”. 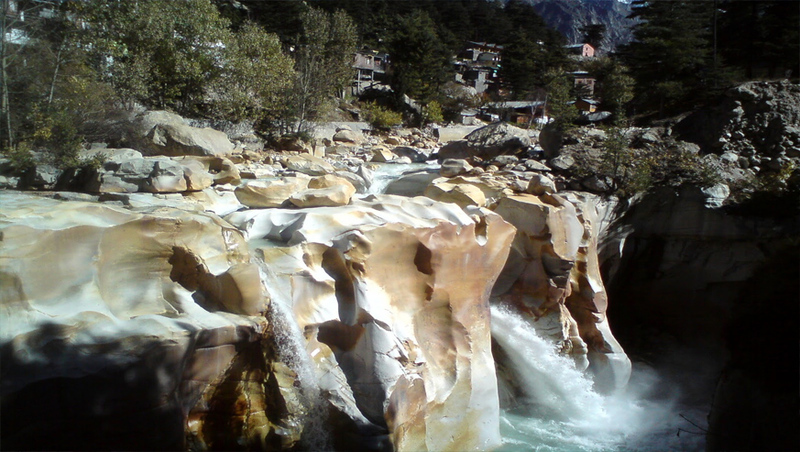 The other places of pilgrimage are Surya kud, Vishnu Kund and Barhma Kund located in the vicinity of Gangotri. Day 03: Bhojwassa Gaumukh Bhojwassa (8kms Trek Up and Down 3890 mts/12760 ft). Early in the Morning enjoy the panoramic view of Bhagirathi group of peaks. After breakfast trek to Gomukh (3890mt), the source of the Ganges. Gomukh is where the water of Ganga trickles down from the glaciers. The sages called it 'Gomukh', because in the distant past, it probably appeared like a cow's mouth. 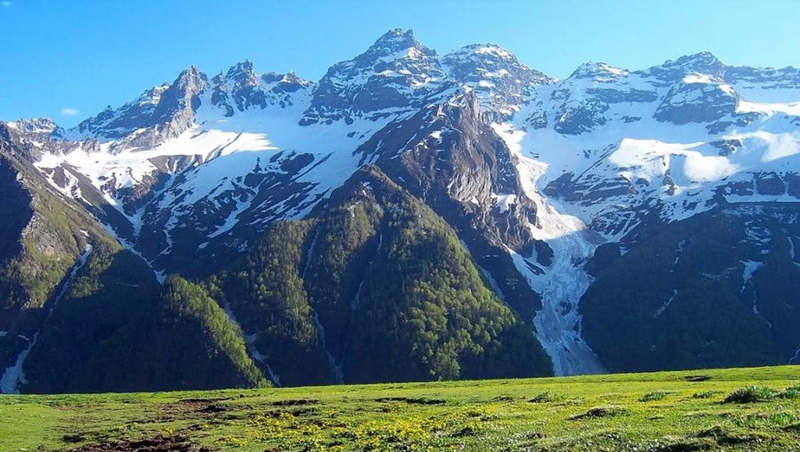 Explore the area and trek back to Bhojwassa for overnight stay. Day 04: Bhojwassa Gangotri Uttarkashi(14kms Trek 6-7 hrs + 100Kms drive/ 4hrs) Height: 3775 MTS. After breakfast get ready for trek down to Gangotri and from here drive to Uttarkashi. On arrival at Uttarkashi check in to hotel. Stay overnight at Uttarkashi. Day 05: Uttarkashi Haridwar (165kms/5-6hr).